The following is a guest post by Bob Corlett, President of Staffing Advisors. Bob is a genius when it comes to staffing issues and, in his own words, is a "Staffing Consigliere." 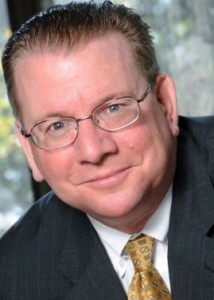 Bob writes a great blog on strategic staffing issues called The Staffing Advisor. I encourage you to check it out. The great salespeople are all out selling for organizations that have a working sales strategy. They are working for companies that already figured out who their customers are, what their value proposition is, and where their sales prowess is handsomely rewarded. An excellent salesperson cannot make up for all the deficiencies in your product offering. Founders and owners can and often do sell past those obstacles, but you didn’t see top sales pros gravitating into buggy whip sales after Henry Ford came along with the car. It’s great to collaborate with outside consultants, but please don’t bother trying to recruit an employee to “figure it all out” for you – that is just lazy thinking - and lazy thinking is not attractive to top performers. (I should point out that lazy thinking is very powerfully attractive to other lazy thinkers – the big talkers who want a place to hide out, where the expectations are fuzzy, metrics nonexistent, and the boss is not paying attention … because that is exactly what you end up with, when you start out lazy). Great salespeople have business acumen. And one of the first things that smart employees look for is your ability to confront the challenges facing your organization. Of course you will have challenges, but what draws top people is your plan to attack those problems. So hire someone who buys into your vision, but please don’t even think about filling a job you do not understand.